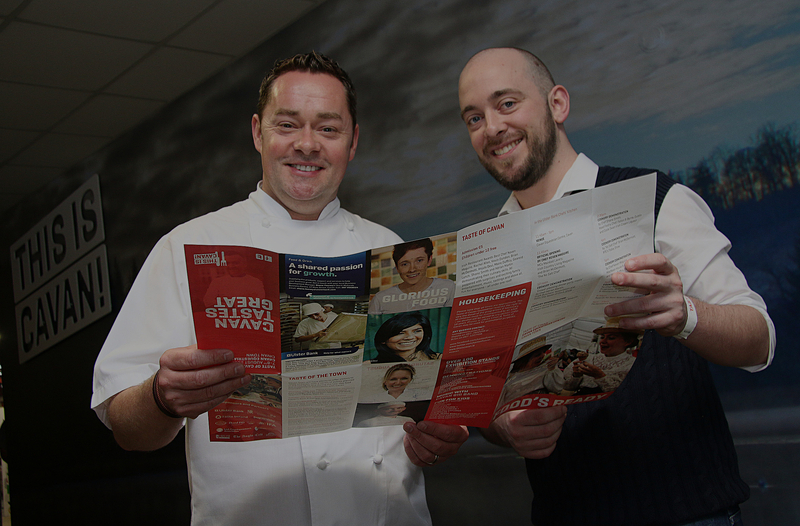 Taste of Cavan Food Trail participants and information. The Taste of Cavan Food Trail presents the "12 Tastes of Christmas"
On Sunday 9th December between 2pm - 4pm, 12 Cavan Businesses will take part in the Taste of Cavan Food Trail. 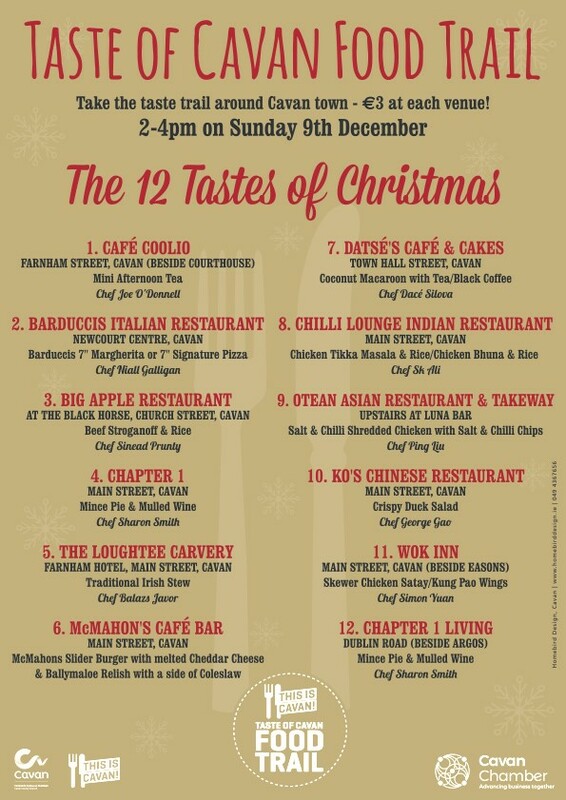 Each of the 12 premises will offer a €3 dish as part of the 12 Tastes of Christmas. The full list of dishes and particapating venues can be viewed on the Poster below.